Social media can be a powerful communication tool for employees, helping them to collaborate, share ideas and solve problems. Research has shown that 82% of employees think that social media can improve work relationships and 60% believe social media support decision-making processes. These beliefs contribute to a majority of workers connecting with colleagues on social media, even during work hours. Employers typically worry that social media is a productivity killer; more than half of U.S. employers reportedly block access to social media at work. In my research with 277 employees of a healthcare organization I found these concerns to be misguided. 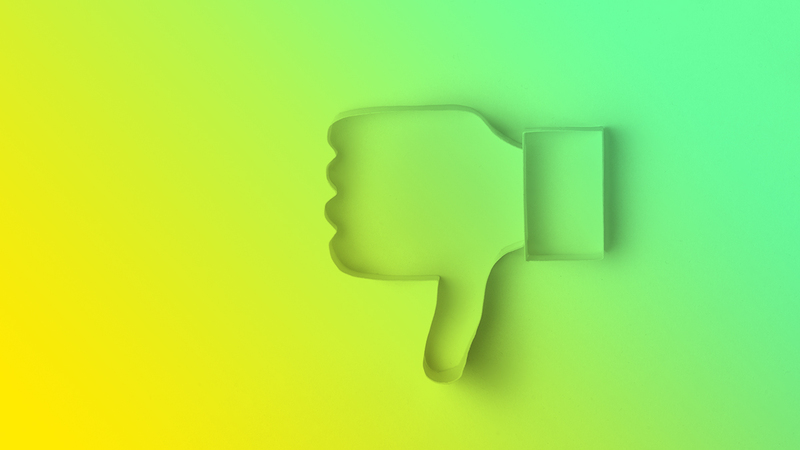 Social media doesn’t reduce productivity nearly as much as it kills employee retention. In the first part of the study I surveyed the employees about why and how they used platforms like Facebook, Twitter, or LinkedIn. Respondents were then asked about their work behaviors, including whether they felt motivated in their jobs and showed initiative at work. I found that employees who engage in online social interactions with coworkers through social media blogs tend to be more motivated and come up with innovative ideas. But when employees interact with individuals outside the organization, they are less motivated and show less initiative. These findings suggest that the effects of social media depend on who employees interact with; employees who interact with their colleagues share meaningful work experiences, but those making connections outside the organization are distracted and unproductive. In the second part of the study I found that employees using social media were more likely to leave an organization. This may be because they were more likely to engage with potential new employers than their less social peers. 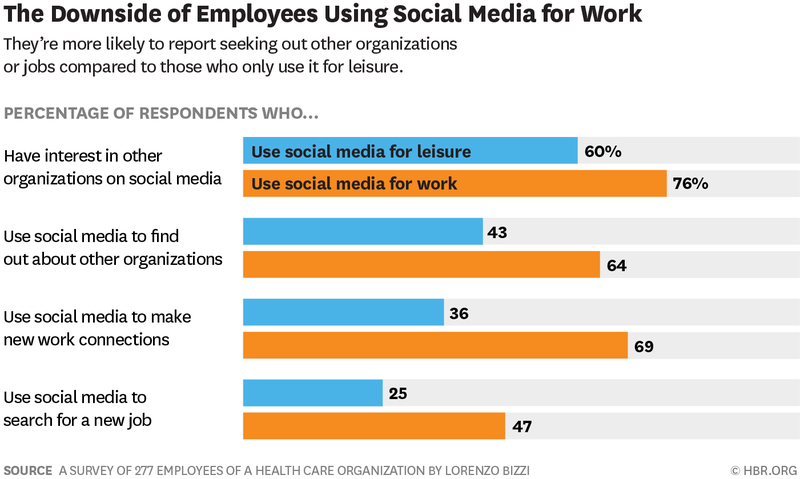 In my study, 76% of employees using social media for work took an interest in other organizations they found on social media, compared to 60% of employees using social media only for leisure. When I examined how respondents expressed openness to new careers and employers, I found that they engaged in some key activities including researching new organizations and making new work connections. The chart below shows how respondents from both groups—those who used social media at work and those who didn’t– engaged in these activities. These findings present a conundrum for managers: employees using social media at work are more engaged and more productive, but they are also more likely to leave your company. Managers can address this problem in two ways. First, managers should implement solutions that neutralize the retention risk caused by social media. They can leverage social media training to make employees focus on positive social media behaviors, like collaboration, which can increase satisfaction and attachment, countering turnover risks. Second, managers can turn the threat into an opportunity. Managers can create social media groups in which employees will be more likely to collaborate and less likely to share withdrawal intentions or discussions about external job opportunities. Managers can use social media to directly reduce turnover intentions, by recognizing employees’ accomplishments and giving visibility to employees’ success stories. This approach has the added benefit of serving as a recruiting tool: If, on one side, the use of social media can make your employees leave the organization, on the other side, the same use of social media from employees of other organizations could attract them to your organization.